I am fortunate that dairy doesn’t usually bother my stomach, but I know a lot of people who have to avoid dairy due to intolerance. Many people who can’t tolerate dairy are actually intolerant to the A1 protein that is found in dairy products. 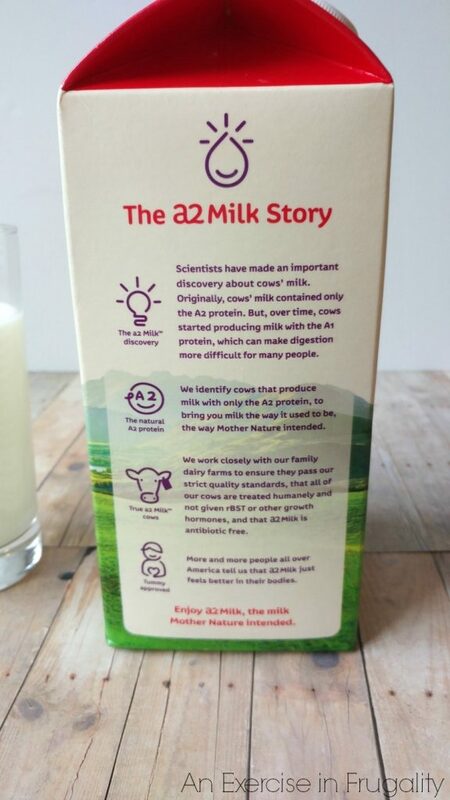 Fortunately, there’s a potential solution for those suffering with digestive discomfort from dairy: REAL milk from REAL cows who don’t produce the a1 protein! Sounds simple enough right? Finally there’s an option that’s not some kind of weird fake “non-dairy beverages”. a2 Milk® uses only cows who naturally do not produce the a1 protein. No funny business about it! 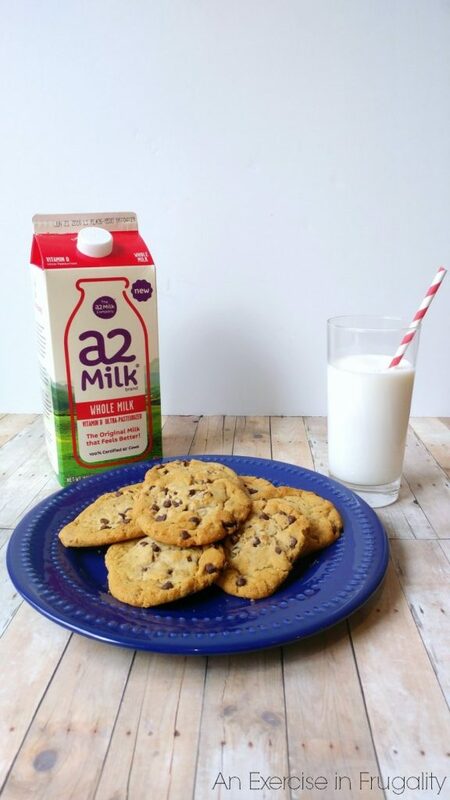 a2 Milk® is the ideal replacement for both conventional milk, and those overly processed alternatives. No more nut or bean “milk drinks”, just honest to goodness real cow’s milk without the discomfort. 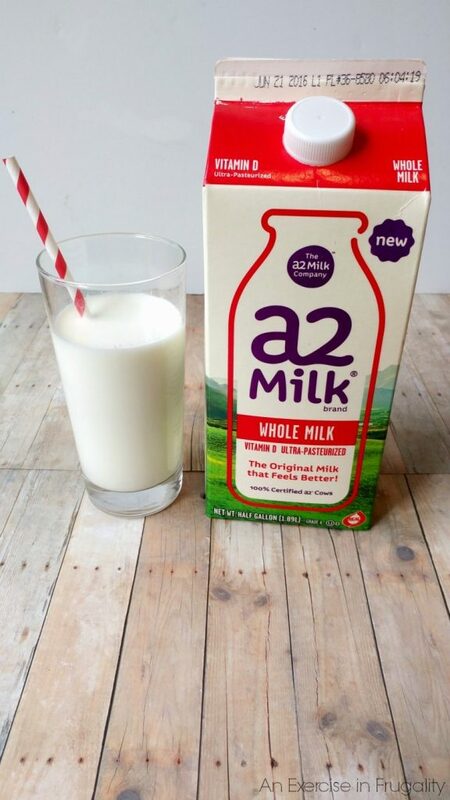 Even though I do not have an intolerance myself, I wanted to take this opportunity to try out a2 Milk® to see if it still tastes like the stuff we’re used to. And what better way to test out milk than with my favorite cookie recipe?? For the record, my husband and I could not tell the difference at all! Right now, their products are not available everywhere (click here to see if its available in a store near you), but the company is currently working with farmers in upstate NY and the Midwest to expand the a2 herd! Beat the butter, sugars, vanilla and eggs until creamy. Set aside. In a separate bowl, mix flour, salt, baking soda and cinnamon. Slowly pour the butter/sugar/egg mixture into the dry ingredients and mix until blended. Drop cookies by rounded tablespoon onto parchment lined cookie sheet. Bake 15-18 minutes or until edges are golden brown. 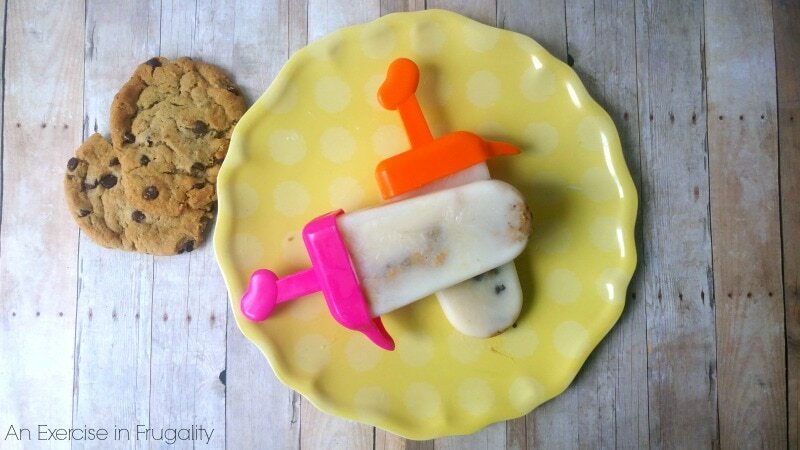 You might have seen a video going around with milk and cookie pops. I loved the idea but thought their version had too much sugar and not enough cookie! I wanted to share my variation using the a2 Milk! 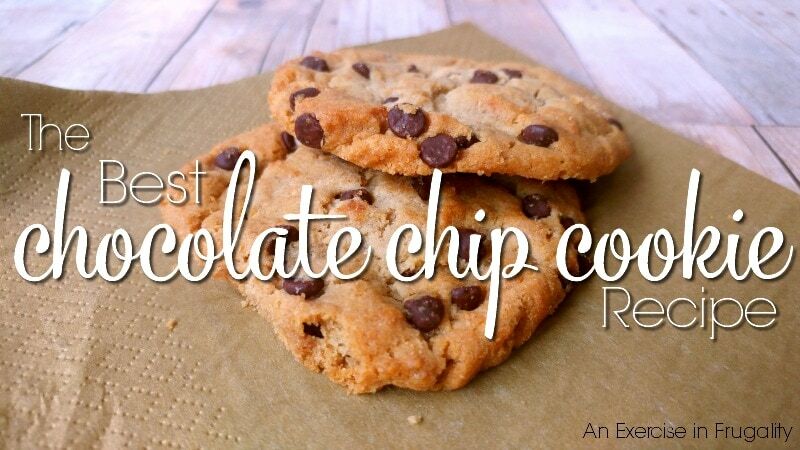 Simply crumble one or two of your favorite cookie into large chunks. It can be whatever kind you want, even store-bought. Experiment with different kinds: chocolate chip, Snickerdoodle, even Oreos! Take the molds and fill with a2 Milk® (I used whole milk for a creamier taste). You can sweeten further with condensed milk if necessary, but since there’s already cookies in there, I figured we should keep the sugar to a minimum, especially if these are for your kiddos. Freeze several hours or overnight until solid. 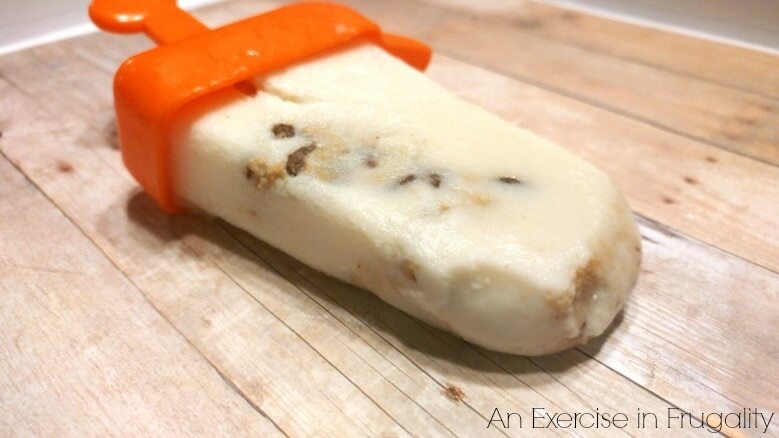 Then remove the pops when ready to eat and enjoy a “milk and cookies” frozen treat! What’s your favorite kind of cookie to enjoy with milk?